DigLibArts offers technical assistance, project planning, and funding for Whittier faculty, librarians, and professional academic staff to develop projects that will utilize digital methodologies, broadly construed, which will lead to publications or digital pedagogy. We encourage you to apply! Applicants must share the results of their grant-based work (assignments, research projects, etc.) under a Creative Commons license in order to enhance the liberal arts curriculum at Whittier College, to contribute to larger open and collaborative communities of higher education faculty, and to protect faculty members’ rights of authorship. If you are unsure whether your idea is fundable, please don’t hesitate to contact any member of the Steering Committee. Sonia Chaidez (schaidez@whittier.edu), Anne Cong-Huyen (aconghuy@whittier.edu), or Andrea Rehn (arehn@whittier.edu) would love to help you plan a project which you can then seek funding to implement. You’re also invited to schedule an appointment with them here. Applications for the Spring 2017 cycle are due Friday, March 31, 2017. 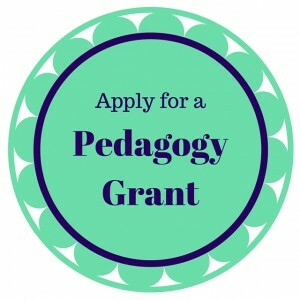 What do Pedagogy Grants fund? What types of grants have we funded? 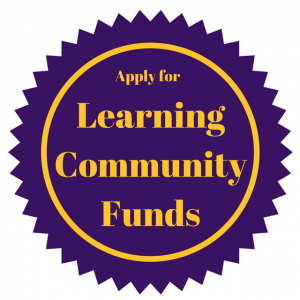 What is requested of the grant recipient? A group of at least 3 regular members connected by a shared topic or set of activities with a shared budget to use in a defined period. What can a learning community do? Almost anything you can think of that will enhance the digital well-being of our students and our campus! If you have questions, reach out to any member of DigLibArts or the Steering Committee/ERC. How will learning communities be supported? A shared budget to be spent during the defined activity period and, when possible, a campus expert who will facilitate group success. What will learning communities produce? You will be asked to share your outcomes and/or processes with the campus community. For more information on these and related questions, see the Learning Community FAQ. If you have any questions or concerns, feel free to reach out to any member of the DigLibArts team or the Educational Resources Committee (ERC), and we’ll be happy to help you!